Alright! I've finally got some pictures of my sewing room! They are not the clearest...I blame my camera even though it's probably me. :P Hopefully we will have a new camera before the year is through. The Project Table: Where I do all my planning, dreaming, scheming, and sometimes I just sit there and crochet because it's fun. 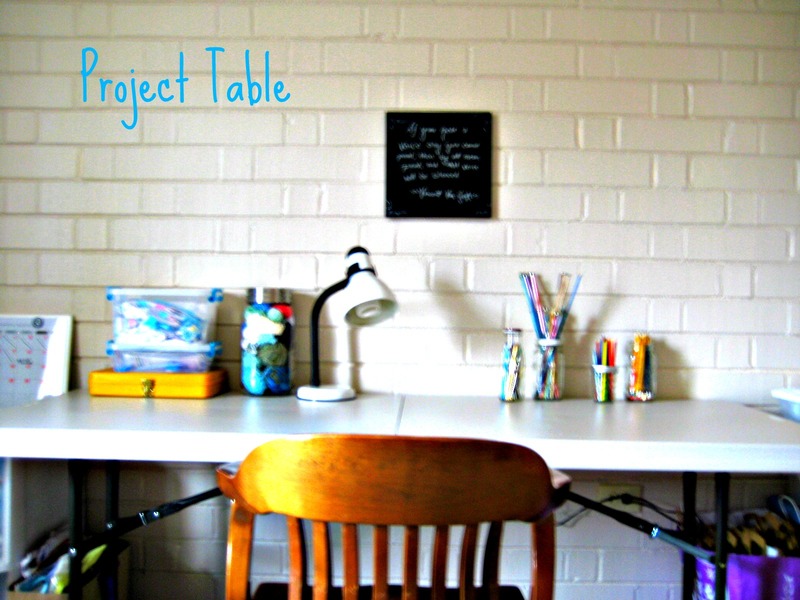 It will also be my cutting table if I ever get around to cutting anything out. The quote on the wall is from Vincent Van Gogh, "If you hear a voice within you say 'you cannot paint,' then by all means paint, and that voice will be silenced." It inspires me. Sewing Table: We brought this table with us from Oregon, my dad made it! Britton had the brilliant idea to put the sewing table in the window...so much better with natural light and now I can look outside while I sew! I have this big Ball jar leftover from the candy jars from our wedding and I love stuffing leftover bits of yarn in it to one day make into granny squares or some kind of itty bitty project. Alright...now I'm off to make something in my clean new room! 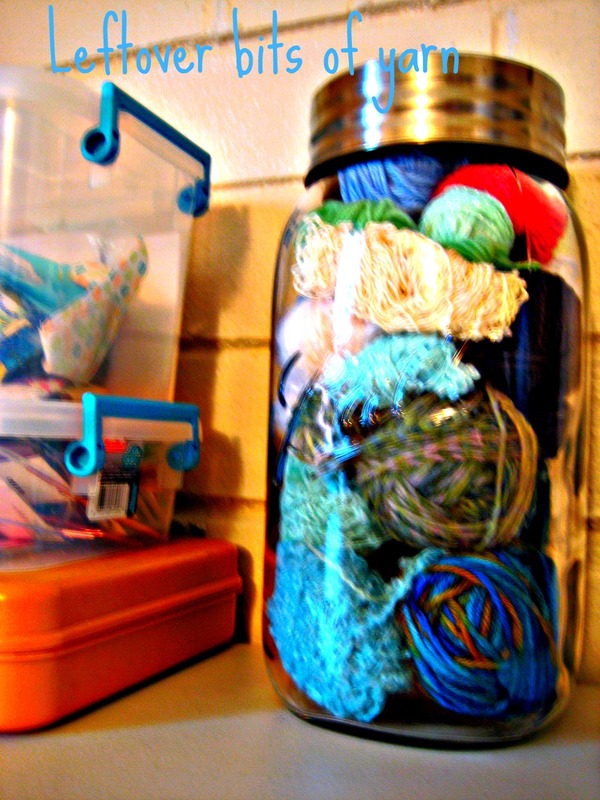 It's beautiful, Anna, I love your sewing room! 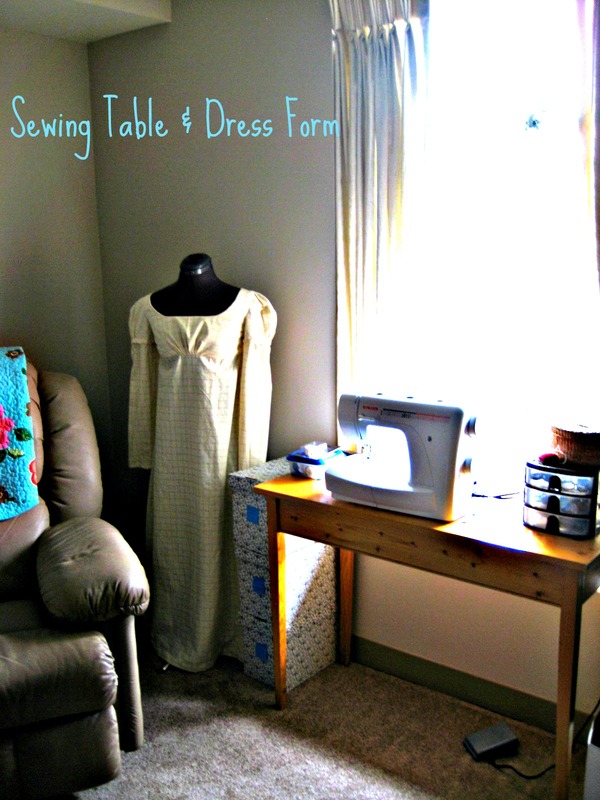 I have a similar table placed under the window in my new apartment and I love it for sewing. 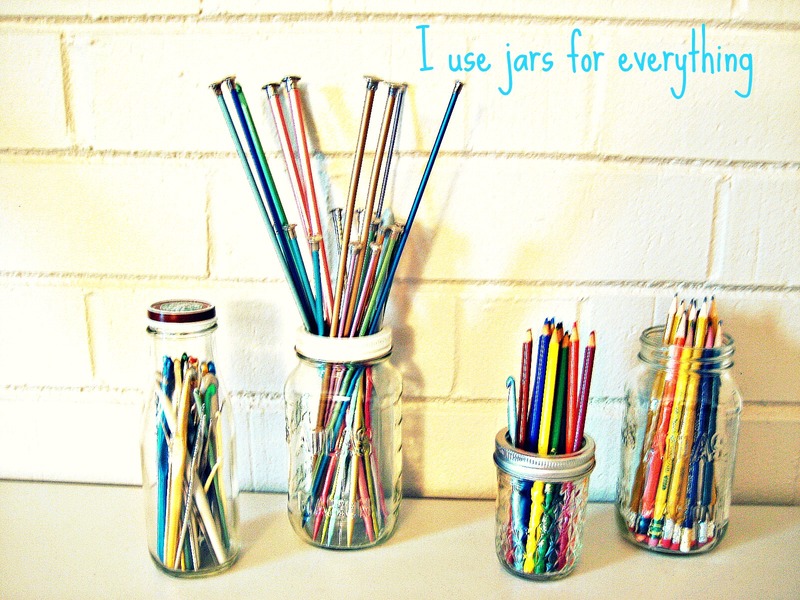 Your space is so cheery, I bet it's much easier for getting projects done. A beautiful room! 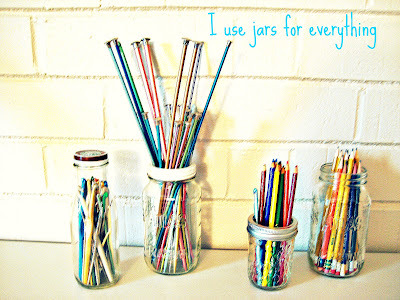 Love all those jars! Oh, what a lovely room! I have a make -shift space in my basement so it can seem a bit gloomy at times, but yours is so cheery and wonderful! Oh how adorable! Your room looks great! I love the blanket that's hanging on your chair. Thanks for sharing! Just saw this today - it's a wonderful room!!! I love it - so peaceful & inspiring looking! Great job. That room looks awesome! 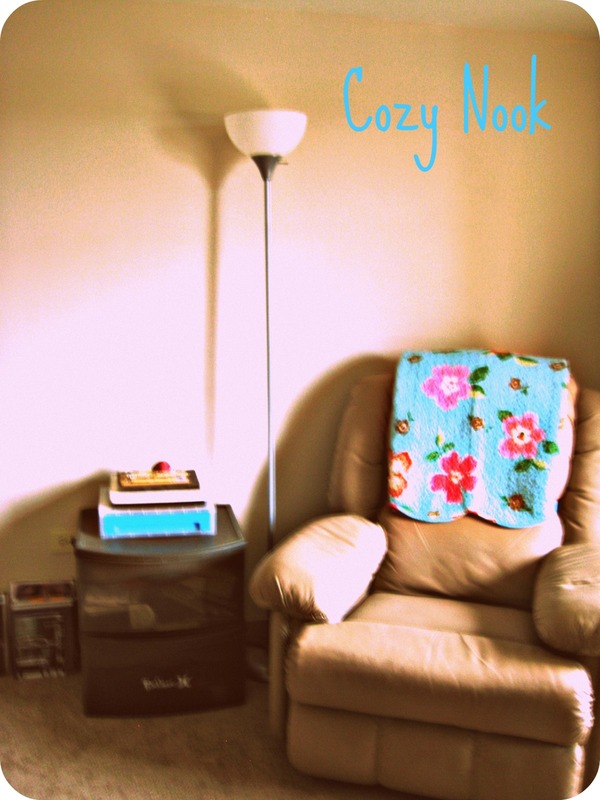 I want to be in the cozy nook drinking tea with you!